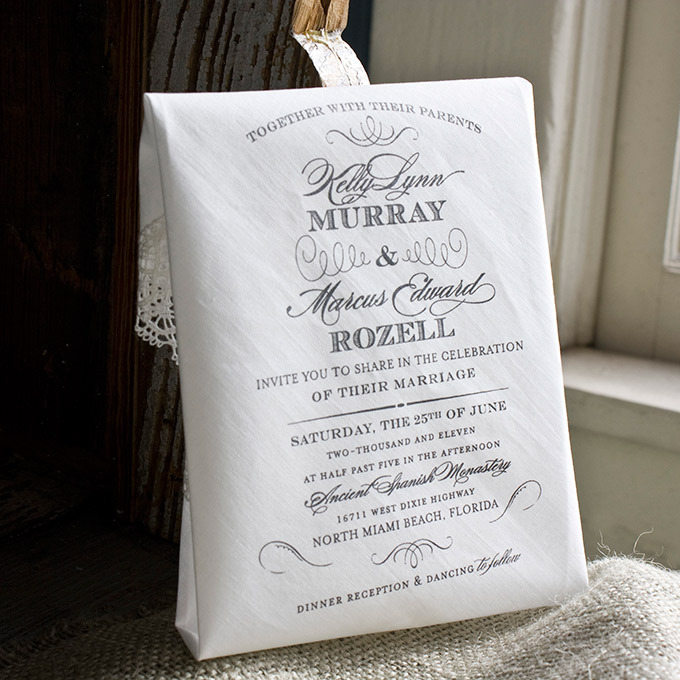 Most brides say that their dress is their most beautiful and favorite item of their wedding, but by far, mine would have to be the invitations. 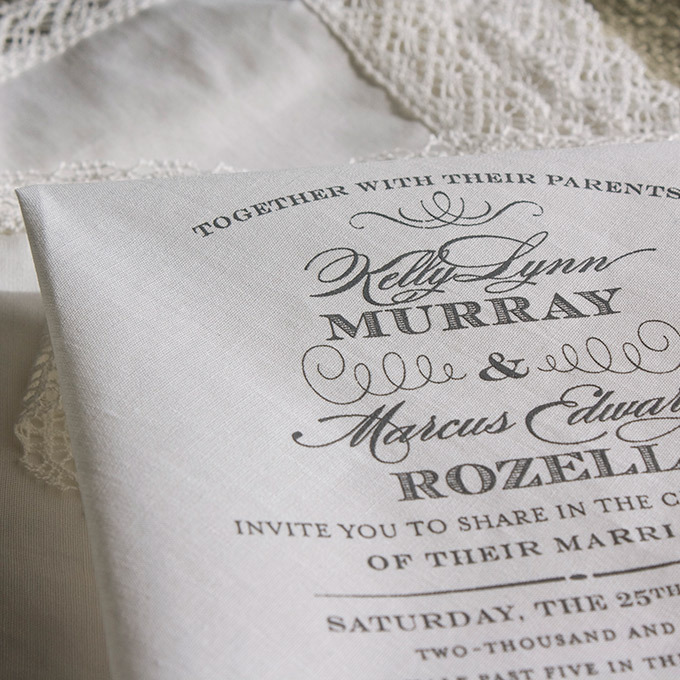 I tear up every time I look at them. 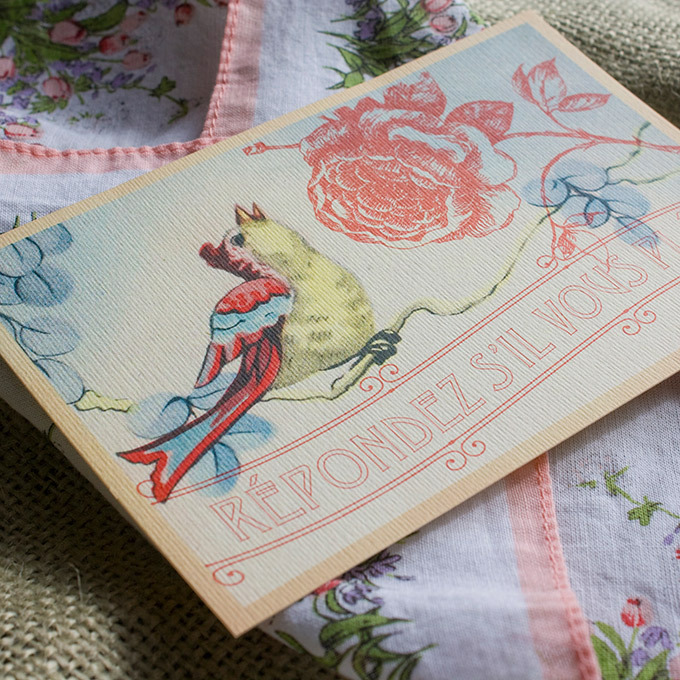 I just wanted to say thank you for the most beautiful invitations a girl could ever ask for. 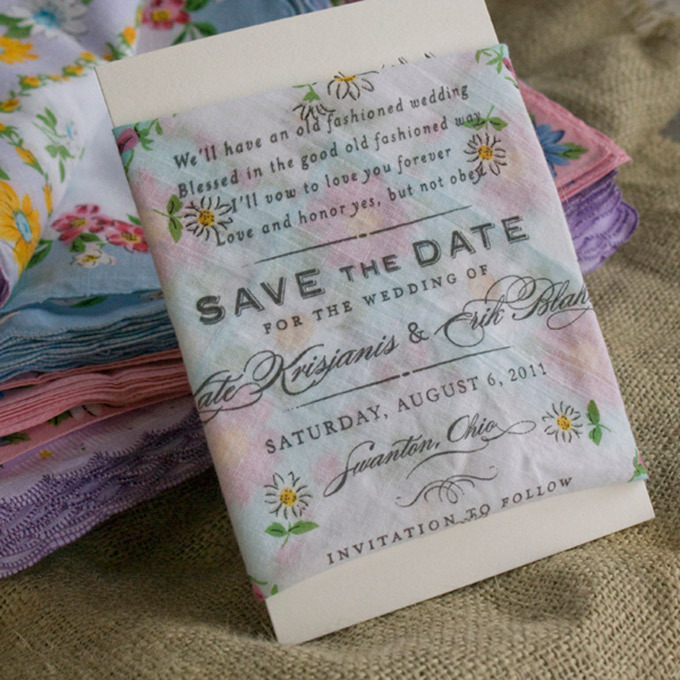 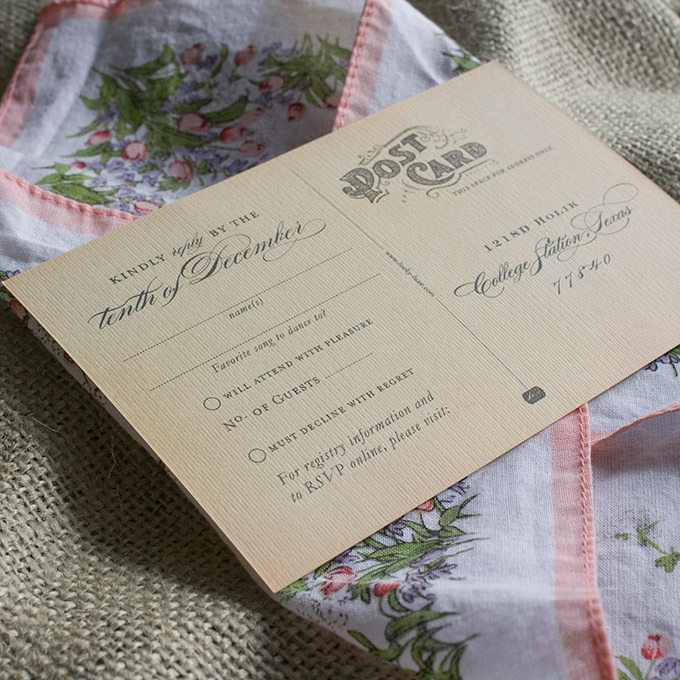 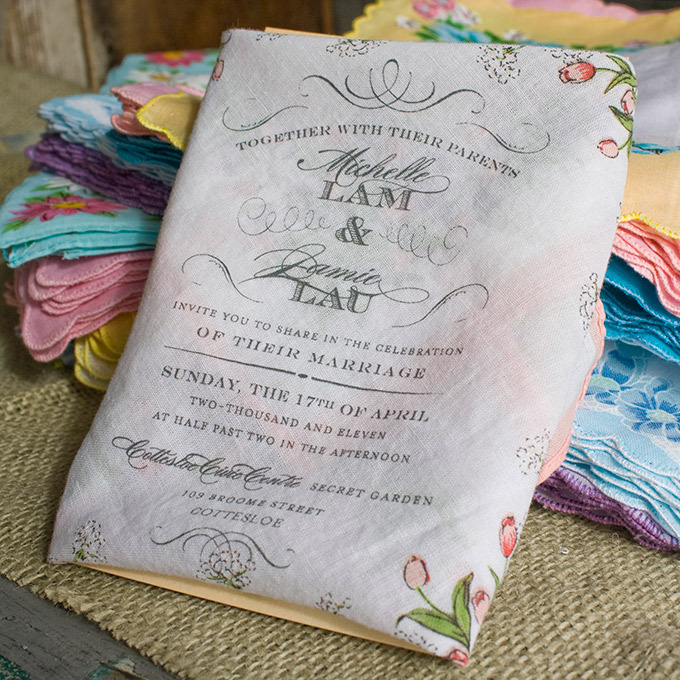  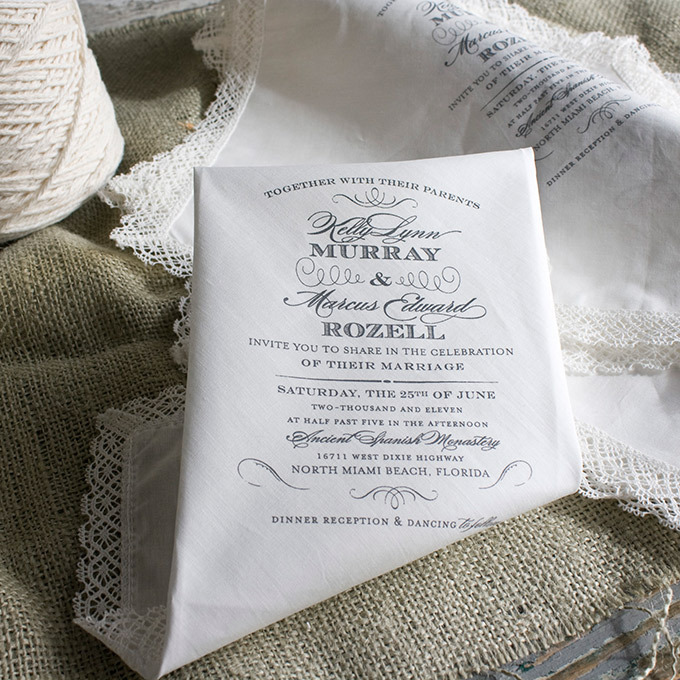 Our most loved collection piece, the handkerchief invitation is also available as a save-the-date. 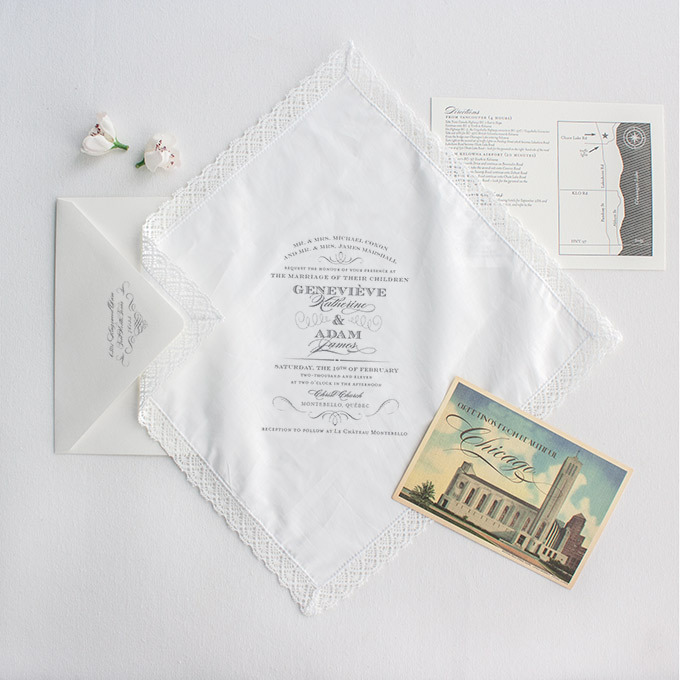 For more information about our handkerchiefs, please click here to download the handkerchief guide, or click here to see available ink colors.